The Watchman is a catheter-based procedure that allows certain patients with atrial fibrillation (AFib) to stop taking a blood thinner to prevent stroke. During the procedure, a parachute-like device is placed in the left atrial appendage (LAA), which is a small portion of the left atrium where clot forms in AFib. 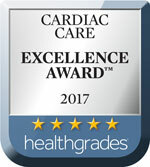 The cardiovascular team at Southcoast Health performs the Watchman device procedure in Fall River, MA for our heart care patients. We are proud to be the second center in Massachusetts and the third center in New England to offer this procedure. The Watchman procedure is performed by Dr. Adam Saltzman and Dr. Ramin Davoudi under advanced 3D echocardiographic guidance provided by Dr. Christopher Abadi and Dr. Franklin Schneider. Normally, when the heart contracts, it squeezes blood from the left atrium and LAA into the left ventricle. In AFib, contraction in the left atrium doesn’t happen effectively, and blood pools in the LAA where it can form clots. The clot can become displaced and travel to the brain, causing a stroke. This procedure is performed under general anesthesia with transesophageal echocardiogram guidance. It involves inserting a catheter into a vein in the leg and using an X-ray or fluoroscopy to guide the catheter to the LAA. Once the catheter is in place, the Watchman device is implanted to close the LAA where the clots form and travel to the brain. You will continue Coumadin for the next 30 to 45 days, at which time you will have a transesophageal echocardiogram. If that study shows the device is in good position, your Coumadin will be discontinued. The Watchman procedure usually takes one to two hours, and patients usually spend one night in the hospital. Your cardiologists will discuss your individual post-procedure plan with you when you are discharged, but most people return to their normal routines within a few weeks. 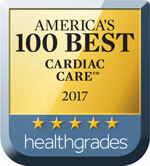 Southcoast Health provides heart procedures, such as left atrial appendage closure, in Fall River, MA and Rhode Island.